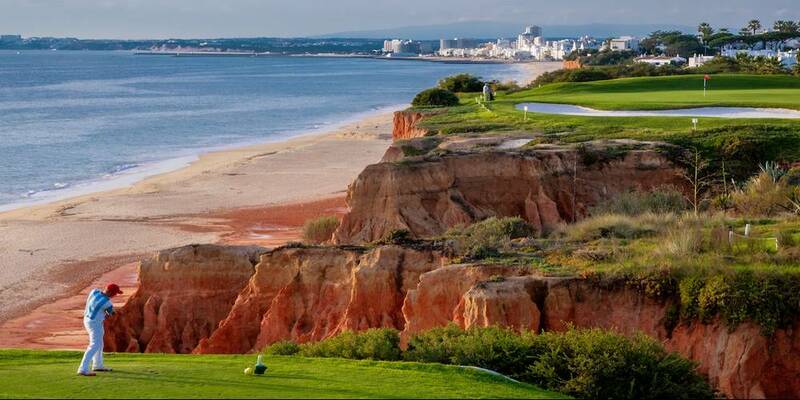 Royal Golf Course is a beautiful par 72 championship course located in Vale do Lobo resort. Set amidst the pine trees and featuring the most photographed hole in the world, the famous cliff-top carryover, Royal is in tip top conditions, with impeccable greens and fairways and, although in a resort, there's no shortage of space. The front nine starts with a narrow par 5 stroke 9, where your mission will be to avoid the bunkers to your left and right. Hole 2 is quite a straight par 4 with an elevated tee so hit for the centre and should be easy enough. The 6th hole, a par 4, is the course's stroke 1, displaying a fairway bunker which you'll have to avoid by driving to the right. Laying up and relying on your short game to achieve par will be your best option when it comes to hitting that difficult second shot. Hole 9 is quite a beautiful, scenic par 3, almost completely surrounded by water, make sure your tee shot lands softly. Number 12 is a par 4 with an elevated tee, try to hit through the right to miss the bunker on your left, which is also your best angle to approach the green. Hole 13 is a par 4, stroke 2 surrounded by bunkers so go for a straight drive; the elevated green demands your best skills. Hole 16 will make you feel blessed for the scenery in front of you; you'll want to take a minute to enjoy the amazing view across the beautiful beach and then you get ready to take on obstacles such as the ravine and a big bunker to the green. Vale do Lobo resort is a holiday and golf haven that offers exclusive first-class leisure and sports facilities complemented by luxury real estate, hotels and restaurants, which come together to offer a unique and sought-after lifestyle. If you are interested in renting a villa nearby, have a look at our holiday villas in Vale do Lobo. 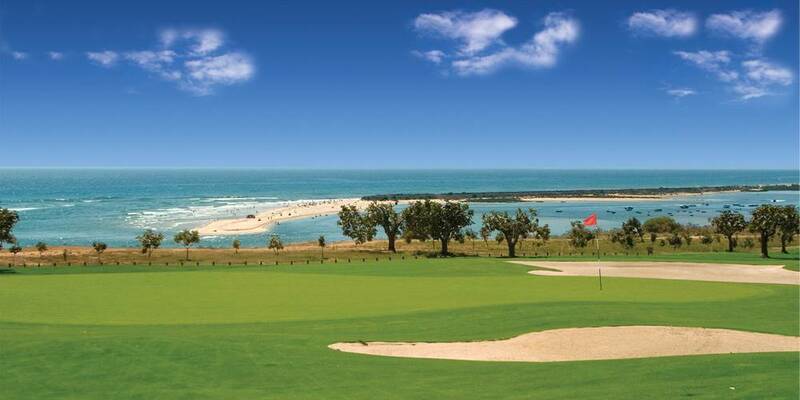 The Royal Golf Course is home to the almost island green of the 9th and the famous 16th, with cliff-top carryover – one of the most celebrated golfing images in the world, which has become the veritable symbol of golf in the Algarve. 1- Golfers are expected to play within the spirit of the game and with consideration towards the safety and enjoyment of others – both on the golf courses, and in the surrounding areas. 2- All players are required to follow the regulations of the courses, with regard to etiquette and speed of play, which the Golf Reservations staff, Starters and Marshals are fully authorised to apply. Golf courses reserves the right to invite a player to leave the golf course, without any right to reimbursement, if the player does not follow the local rules or any instructions from a member of staff. 3- All players must present official handicap certificate. The maximum handicaps allowed at our courses are: Ladies: 36 | Gentlemen: 28. 4- Players are required to follow the regulations with regard to the dress code. It is essential that golfers wear golf shoes with soft spikes, as well as collared shirts and golf trousers or tailored shorts. 5- Players’ guests, may be authorised by the Golf Reception to follow the players on the course, when doing so, they must follow the same dress code as the player. Players’ guests are only allowed to join players on the 1st or 10th tee. 6- Flights are made up as 4-balls and therefore players booking less than a 4-ball must expect to be paired up with another group, whenever possible with players of similar handicap.